Not to be confused with Treasure Island. 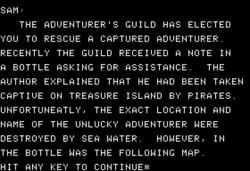 The Caves of Treasure Island is an Eamon adventure written by Paul Braun and Geoffrey Genz. This page was last edited on 27 March 2019, at 06:16.